The name Zanzibar conjures up exotic and romantic images, Zanzibar Island is an archipelago made up of Zanzibar and Pemba Island, and several islets. 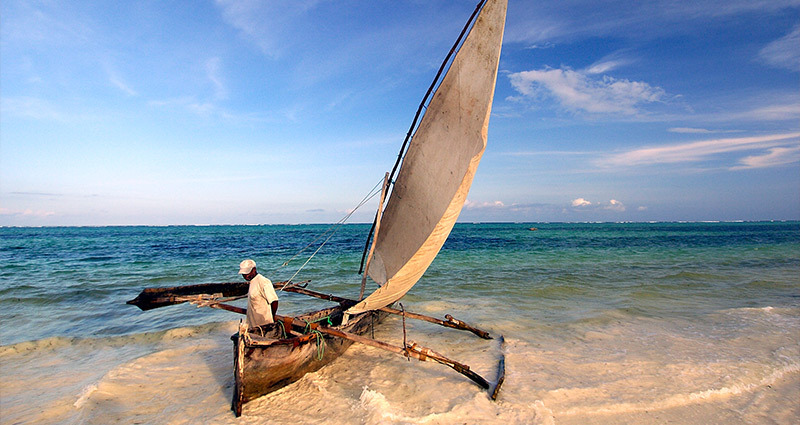 Zanzibar Island is located in Indian Ocean, about 40 Km. from the Tanzanian coast and 6o south of the equator. Zanzibar Island ( is known locally as Unguja, but as Zanzibar internationally) is 96 Km long and 32 km wide, occupying a total area of approx. 1040 square km. Zanzibar island has beautiful sandy beached with fringing coral reefs and the magic of historic Stone Town – the only functioning ancient town in East Africa.